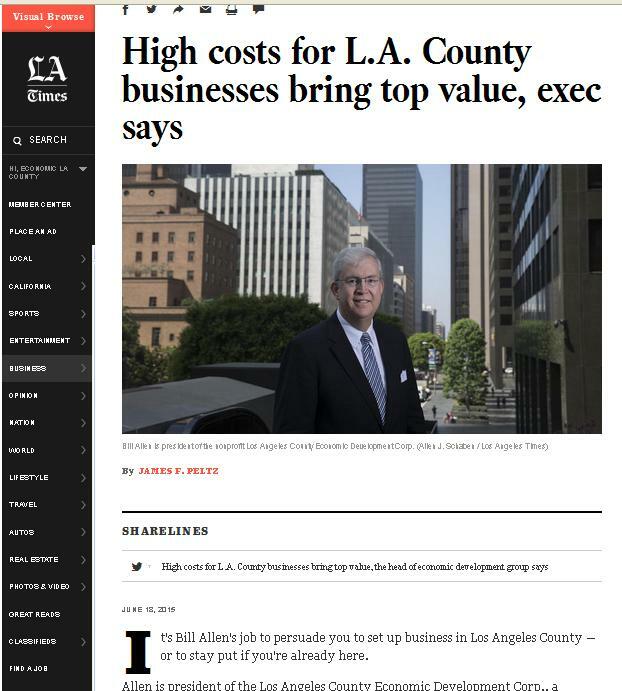 LA Times reporter James Peltz sat down with LAEDC president Bill Allen recently to talk about the LA County economy, our ability to attract and retain jobs, and related interesting topics. The article appears in today’s Los Angeles Times. Click HERE to read it.